90 pts. 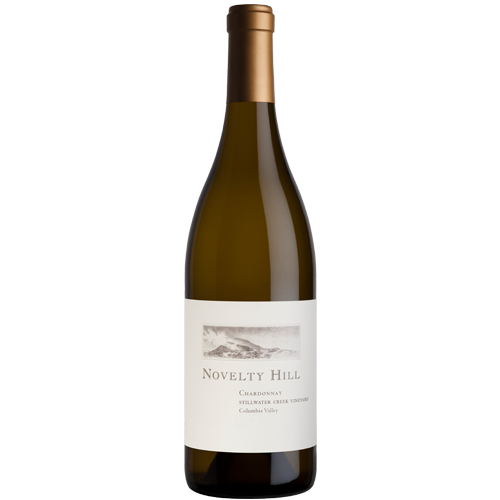 Wine Enthusiast, "A very pretty interpretation of the variety"
Round and generous, this barrel-fermented Chardonnay offers fresh pear and crisp apple aromas and flavors that echo across the palate and wrap around a rich, creamy finish. Sur lie aged for added mouthfeel and richness. About the Vineyard: Novelty Hill’s Stillwater Creek estate vineyard is located on the Royal Slope of the Frenchman Hills in Washington State’s Columbia Valley. The fractured basalt found throughout the site imparts an appealing mineral character to Chardonnay planted here. Innovative clonal selection distinguishes the vineyard as well, including Entav clone 95, a relative newcomer to the Columbia Valley.